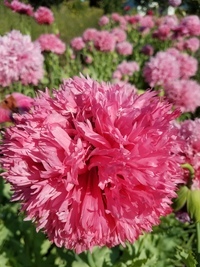 This is our own selection derived from the variable cos heirloom ‘Forellenschluse’ (Austrian for “speckled like a trout’s back,” aka ‘Freckles’ in some catalogs) and it has received rave ratings from past trial seasons. ‘Flashy Trout Back’ is uniformly and densely splattered with bright red splashes on a medium green background. 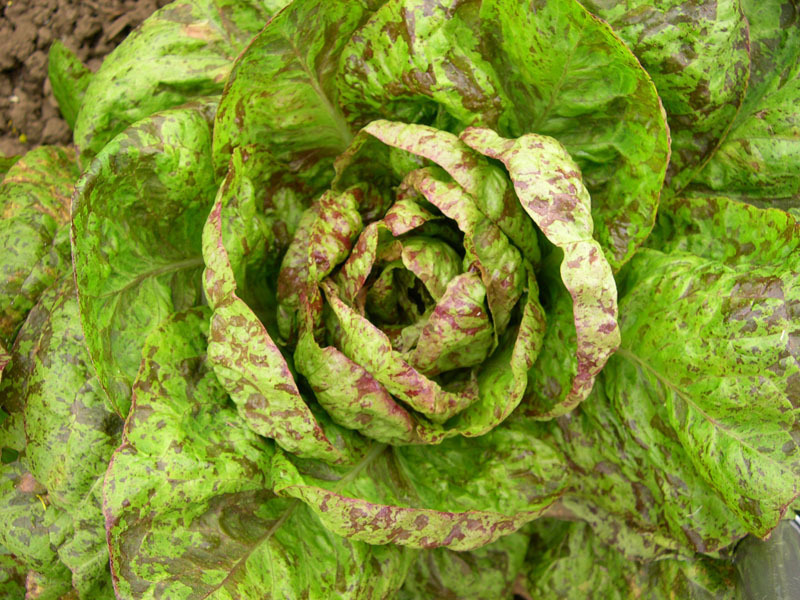 Blanched hearts of mature plants look like ‘Castlefranco’ chicory. Upright growth, unique early coloring, and crisp texture make this a prime candidate for baby cut salad. Farm Original Variety! OSSI (Open Source Seed Initiative) Pledged Variety.